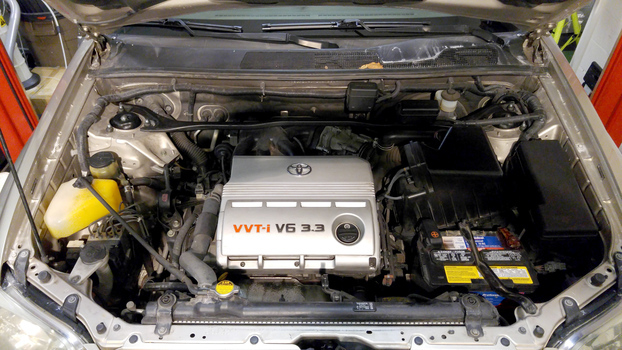 This easy guide will help you change the air filter in your first generation (2000-2007) Toyota Highlander in just a few minutes. 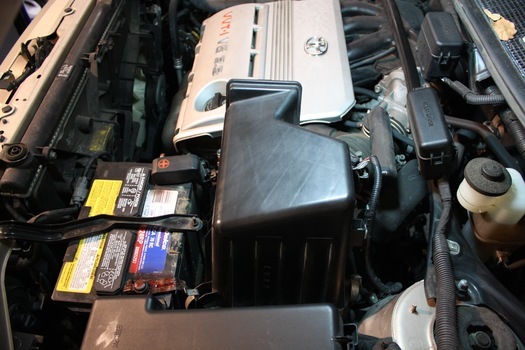 The air filters for the 3.3l V6 and 2.4L 4 cylinder are exactly the same. I've included all the part numbers you'll need with links to the exact item so you can order your parts and change your filter this weekend. Pop the hood by pulling the plastic handle on the bottom corner of the dash. Slide the intake box lid to the side to dis-engage the plastic tabs at the inner side of the box. Remove the air filter and inspect it. Install the new air filter. Reinstall the air box lid. The air filter lid is a giant pain to align. 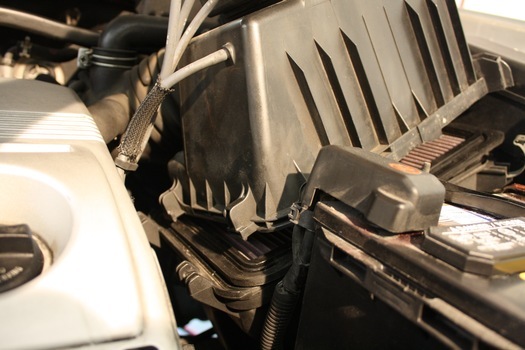 Start by inserting the plastic tabs near the engine. 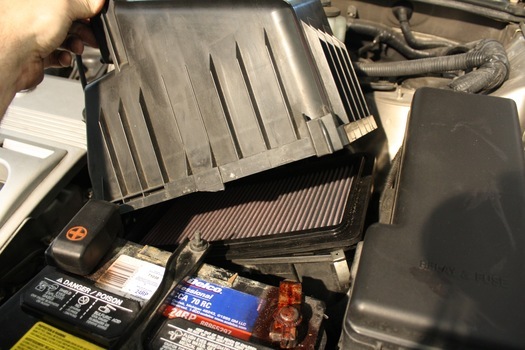 Carefully flex and align the box while making sure the air filter doesn't slip out of place. For me, using my right hand on the box top, and my left hand on the box bottom - I was able to line them up by gently flexing the bottom and top so they align. Snap the 2 metal clips closed.